eat run sail: It's Berry Time! A long walk today to test out my right knee... still hurts a bit but not as much as yesterday. It seems to be under my kneecap. 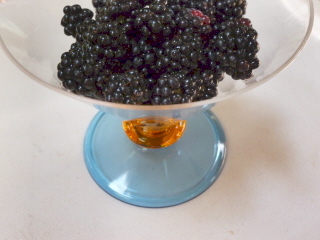 The Captain picked me about a cup of blackberries... hurray! Love berry season. YUM!!! 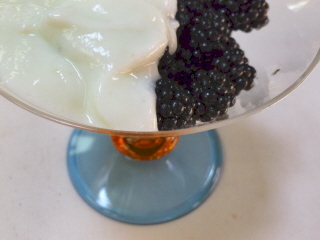 blackberries and raspberries are my fave! glad to hear your knee is doing a bit better! hope it continues to heal. have a wonderful day Elle!